The Plaza de la Constitucion is the central park in downtown St. Augustine. 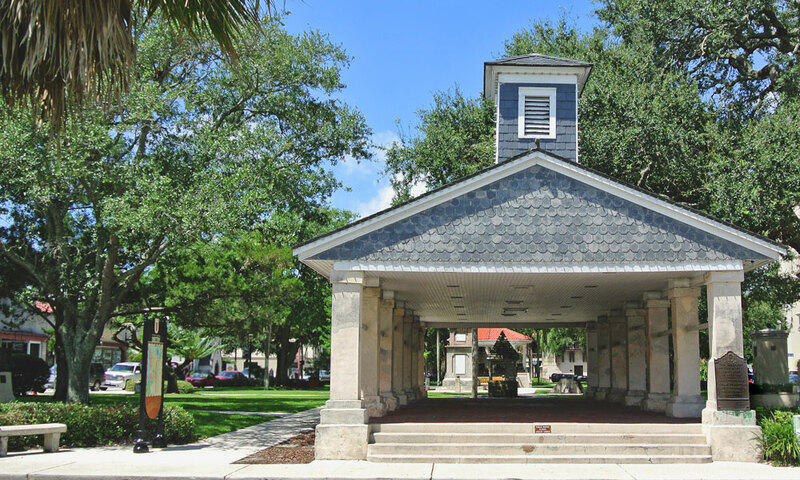 The park is on a square of land bordered by the Cathedral Basilica of St. Augustine, Trinity Episcopal, and the Government House. The plaza faces the Bridge of Lions and features a central pavilion used for city events and live entertainment. There is also a public market that has been in use since the 1500s. Fish, vegetables and other goods were traded here. Today, local vendors set up tables to sell their wares. The plaza has been a central part of St. Augustine since 1573 when it was first laid out by the Spanish Royal Ordinances. The Ordinances required that the plaza be laid in a rectangular shape according to the compass points, with the length equal to 1 1/2 times the width in order to promote harmony. 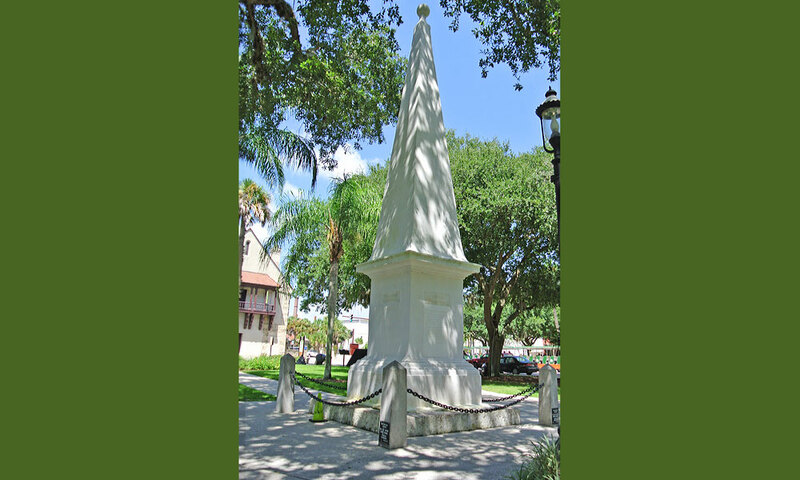 The plaza earned its proper name for the obelisk that was erected to celebrate the Spanish Constitution of 1812. Other monuments included in the park include a tribute to American Revolution prisoners, the Confederacy, and soldiers killed in WWII, the Korean War, and the Vietnam War. 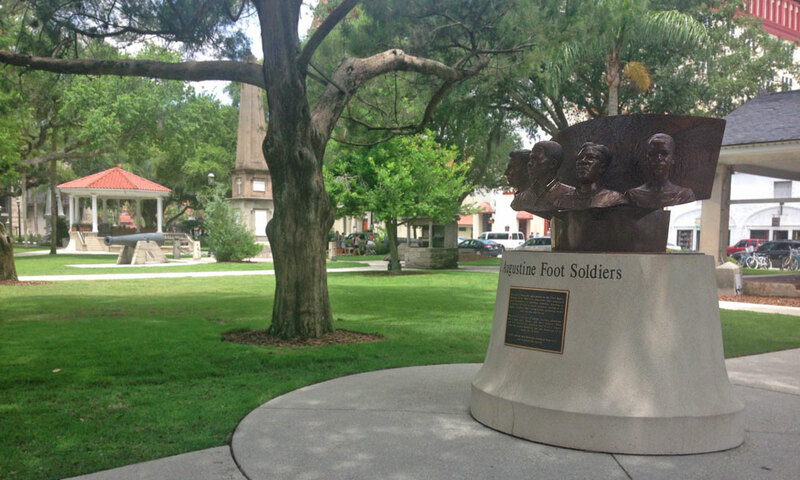 There is also a monument to commemorate the civil rights movement in St. Augustine known as the Foot Soldiers Monument, and a statue of Father Felix Varela in the East courtyard of the Cathedral. A pre-1700s well has been designated as a American Water Landmark, and the town plan and plaza were designated a National Historic Landmark in 1970. Visitors can enjoy local events at the plaza like a seasonal concert series or the Nights of Lights during the holidays. 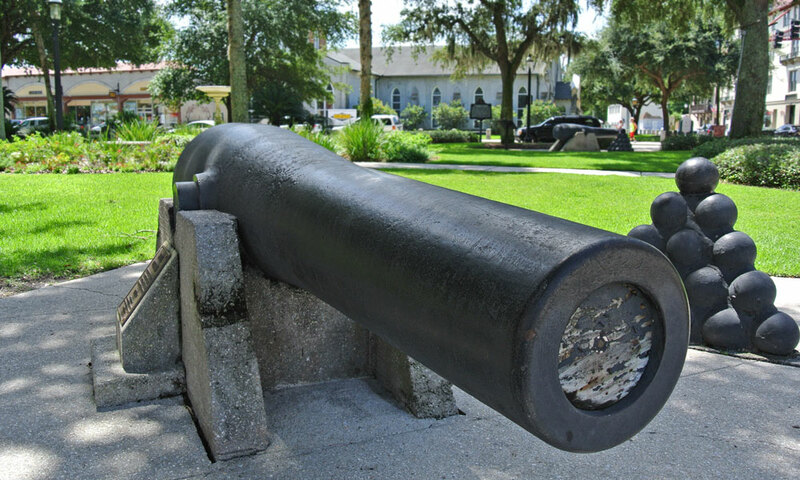 The plaza is surrounded by large cannons which make for a fun vacation photo op. The Plaza de la Constitucion is located across from the Government House. Be the first to Review Plaza de la Constitucion!